Anthony Kennedy will turn 81 next month. Sources close to the Associate Justice of the US Supreme Court report that he is strongly considering retiring - yet it's unclear exactly when. The image above shows Kennedy in a particular nonverbal configuration which, if you were testifying, you'd never want to see displayed by the judge. The resting of the hand on the face with the index finger extended is one of many varieties of what is known as a "Critical Evaluation Display". More colloquially stated, he's not buying what you're selling - not by a long shot. 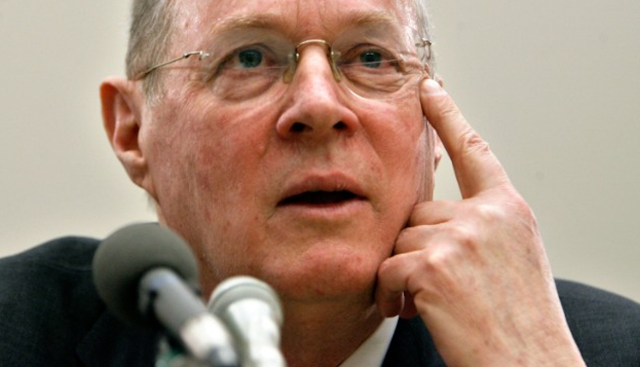 To nuance this even further, the action of his index finger also being pointing at his eye strongly indicates Anthony Kennedy believes he's being told a lie. Nonverbal Communication Analysis No. 3851: Donald Trump's Impromptu Press Conference - "Russia is a Ruse"